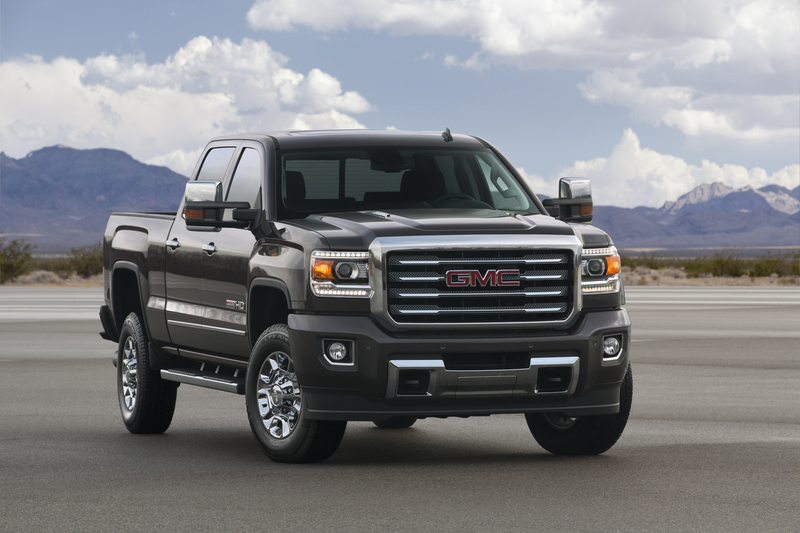 DETROIT – No other heavy-duty truck matches the GMC Sierra HD lineup when it comes to offering capability with comfort, quietness and crafted interiors. It builds on a 112-year legacy of professional grade heavy-duty trucks with technologies and features that make leveraging its capabilities easier and more enjoyable. New for 2016, Active Steering Assist power steering on some double cab and crew cab models helps make hauling and trailering easier and more confident, with electronic controls that enhance road holding and stability on the highway regardless of whether the truck is loaded. It also offers greater responsiveness and an improved steering feel – not available on base models or regular cab. A new Gooseneck/5th Wheel Trailering Prep Package is offered and makes Sierra HD models ready right from the factory to tow larger trailers. It’s available in the first quarter of 2016 for Duramax-equipped models and features a frame-mounted hitch platform and tray that accommodates a gooseneck ball hitch or fifth-wheel hitch-mounting brackets, and includes a cargo bed-mounted trailer harness. A new Gooseneck Completion Kit will also be available from GMC dealers, featuring a 2-5/16-inch ball hitch and two chain tie-downs. Exterior colors: Crimson Red Tintcoat (double cab only), Cardinal Red, Deep Garnet Metallic (crew cab only) and Mahogany Metallic (not available on All Terrain or Denali). Read the entire article on GMC.com.